YOUTUBE’S MESSAGING APP & COMMUNITY TAB ON YOUTUBE TV, YOUTUBE MUSIC? YouTube’s social features might get added to YouTube Music and YouTube TV. WHAT IS THE REASON FOR THE SAME? 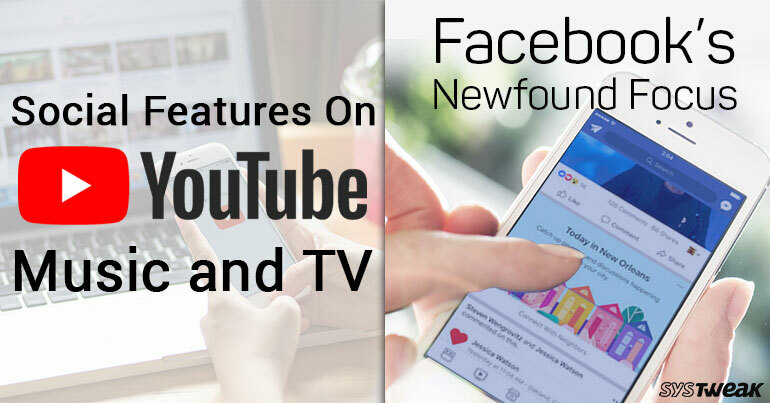 There are speculations of YouTube bringing some of the social features of the app including “Community” tab for creators and the in-app messaging system to YouTube Music, YouTube TV and more. The company will not tell when or if the features would launch. This will distinguish YouTube TV from its competitors Sling TV, PlayStation Vue, Hulu Live Tv and more. Moreover, this could prove to be a good thing as the company could build a bigger platform including web and mobile properties with the help of social features. Moreover, they can create a larger user base who stream media content on their devices. The messaging feature will look pretty much same when it will be added to YouTube TV, This means the TV content writers have to have their own tab to indulge the fan base on the app. Well, YouTube is not only the one working on it. Other companies like Hulu, Philo have taken an initiative to engaging users so that they can what friends are watching and recommending. Well, YouTube has definitely got an upper hand in this as it has long-term experience in the field. WHAT YOUTUBE HAS TO SAY? He also said, “We think that magic of YouTube that exists in the main experience can apply to YouTube TV experience as well. I don’t want to create any additional cognitive load for users — every user of the YouTube TV app is probably also a YouTube user. It should feel familiar. Their friends are the same.” Mr. Mohan also mentioned that the idea of bringing social features from YouTube to YouTube TV totally makes sense for the community features YouTube has been building, and also such as the new Community tab where content writers can talk with fans. “That’s where content creators are posting not just video, but images, text, and polls and just interacting with their community. I think that’s a concept that can apply regardless of the type of content. YouTube is well-positioned to deliver those types of really interesting use cases to our consumers.”, he added. Facebook is working on a new section Today In’ which will make it easy for people to get local news from reliable sources. WHAT IS THE NEW SECTION ABOUT? The social media giant, Facebook is working on testing a new section “Today In” on the app, which is dedicated to local news, announcements and events. Facebook is testing in six cities Little Rock, Ark, New Orleans, LA, Billings, Mont. ; Peoria, Ill.; Olympia, Wash.; and Binghamton, N.Y. for now. Facebook users who are living in these aforementioned areas will be able to check out the new section to see emergency updates from local authorities, stories from local publishers. Facebook will be using Machine Learning to put content in this new section. Before doing that, Facebook’s News Partnerships team, headed by former NBC news anchor Campbell Brown will review and approve the local news. WHY IS FACEBOOK STRESSING ON THIS? Last year in US presidential election, allegedly fake news of Donald Trump winning the election before the declaration of the results came out on the service. When Donald Trump won the elections, many people point a finger towards Facebook being a part of it. This is the part of Facebook’s Journalism Project initiative which was shortly launched after the scenario. Facebook is working towards cleansing the platform so that no false information is spread like a wildfire on it. For that, they have selected local publishers who would appear in the new section of the app. Well, this might also profit the local publishers. As being a discrete, local section of the app, it will help in driving traffic to publishers’ websites, wherein they can make money through ads. As local news section will not give bigger dollar bills at the start. As the traffic will depend on the users, whether they frequently visit that part of the section. Sure, Facebook has plans to notify users about the new feature in six cities but after that, it all would depend on users and how much they get hooked. Soon, Facebook will release the feature in other cities and regions as well. Next Read: How To Receive Security Code For Facebook Account?